Yeah, I suppose I’m a gear critic, considering the nature of GuitarGear.org. But one thing that I NEVER wanted to do was establish myself as someone who came off as “my word is is law.” To be honest, I would consider myself an expert on guitar gear – at least in general with respect to guitars and peripherals and how they all work together – but I also realize that my own proclivities and tastes are my own. And despite the fact that I employ rigorous testing in both studio and on stage, inspect every piece of gear closely, looking for build or finish flaws, or admiring the workmanship of some gear; in the end, my analysis is simply… an opinion. Because of this awareness, I’m always careful about making gear recommendations. I rarely, if ever, tell readers that they have to buy something; rather, I suggest they check it out and try it for themselves. The reason I’m covering this particular subject is because as I was reading through some wine reviews this morning (yes, that’s yet another passion of mine besides guitar and golf), I realized that the critics I gravitate to are the ones whom I consider to have considerably more expertise than me, but rather than dictate, they suggest, and also provide contrast by illustrating similar wines. Then I looked at my participation in various online forums, and the various so-called experts that practically live there. There are some for whom I have great respect and admiration who give and have given me some great insight and advice on various gear topics. But there are others who love to bandy about their knowledge, pulling out their credentials as proof that you need to listen. The worst thing is that they’re all very eloquent so many people are taken in by the things they say and advise, then they go out and buy a particular gear that the “expert” says they need, and they’re convinced beforehand that it’s everything they need; only to find out some time later that it just doesn’t work with their sound. Look, I’ve been down that road; hanging on every word that a so-called “expert” says. And yes, I’ve been burned. Just remember this, as said in the movie “Platoon:” “Opinions are like assholes. Everyone’s got one.” 🙂 Seriously though, and I know, I repeat this all the time. Don’t just take the word of someone who raves about gear. Try before you buy. And if you can’t try it, make sure you do your homework and research! 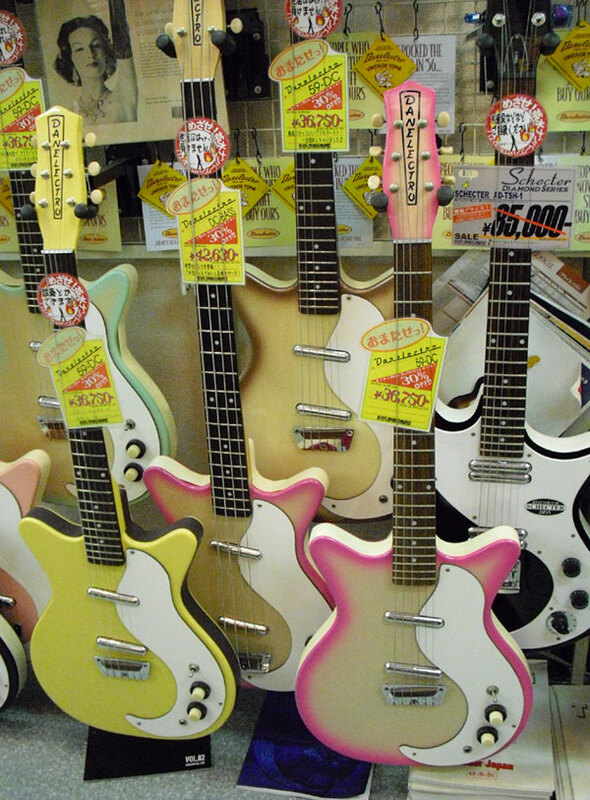 “guitarboy” who is a reader of this column teased me recently about getting my Timmy pedal. To be completely honest and transparent, I’ve never played one. But I did do my research, listening to tons of clips, and fortunately for me, seeing/hearing one in action at a friend’s concert (Dylan Brock of “Luce”) where I could see how he set it. I was also able to talk to him after the concert to get his insights on the pedal. That particular conversation sold me on the pedal. Build a huge wine cellar devoted to my favorite wine, Pinot Noir; focused specifically on California, Oregon, and Washington, categorized by region and appellation. Oh, I’d also stock it with French Burgundy as well. I suppose I should share that I also have a blog about Pinot Noir called The PinotPhiles. Play a real ’59 Les Paul, if not outright own one. And it wouldn’t sit in a glass case. I’d play it. I’d really like a Corvette Z06. Speaking of automobiles, one of my dreams is to see the F1 Monte Carlo Grand Prix, and have a room that is on the Casino Turn, overlooking the race course. Back to music, once the kids are grown up – or maybe earlier – I’d love to build a nice studio/sound stage in my back yard. The danger about being a gear freak or have a mania for anything is that you can easily waste lots of money chasing an ideal. Think about it a moment: Lots of things influence our decisions to purchase gear; and not all are that reasonable. We gear freaks tend to be a fairly compulsive lot. Something might look cool or feel or sound great in the shop; we read about something in a forum; see something in a magazine; all triggers for GAS. I realized in that moment that I had a bunch of stuff that I’ve hardly used at all; for instance, a BOSS practice unit that sits on my recording console desk that I rarely if ever turn on. Or I have some pedals that are simply collecting dust. I resolved then and there to slow down my buying and be much more calculating with my purchasing decisions. After all, I told myself, you bought this stuff to play it, so play it! 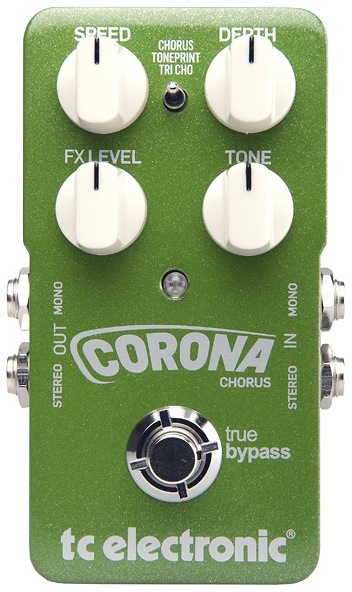 The TC Electronic Corona Chorus was the first pedal I’ve purchased in about six months. I’ve looked at several, but haven’t pulled the trigger. I do have to admit that I didn’t necessarily “need” a new chorus, but the Corona sounds so damn good that I just had to have it. 🙂 Truth be told, it’s affixed to my main board and will not be leaving it. And that’s a real driving force for my purchasing decisions: Will I really be playing the gear in question. I gig at least two days out of the week, and I’ve stepped up my studio time as of late, so the gear I get has to be relevant to what I’m playing. I’ve gotten to the point in my playing where I’ve pretty much established my base tone, so I’m extremely sensitive about the pedals I add to my rig; especially modulation effects. To me, they should only enhance my tone, and not define it. I should still sound like me whether I have a particular modulation effect on or off. In other words, if the effect is off, I shouldn’t feel as if something is missing from my tone. There are, of course exceptions to this rule of thumb, like my Boss CE-2, where I actually want my tone altered, but in general, I want my modulation effects to simply “fit” with my tone. 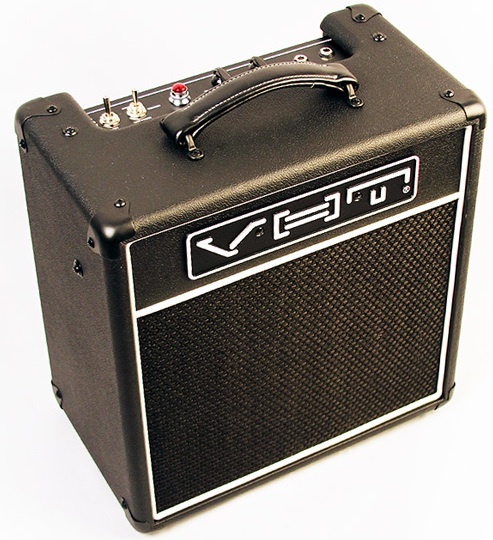 Such is the case with TC Electronic Corona Chorus. It simply “fits” with my rig. I’ve been playing with it for the last hour or so, and the more I get to know it, the more I absolutely love it. And all this for $129? This is a winner. In any case, I’ve recorded a couple of clips to demonstrate the pedal. Mind you, all these were done in the standard chorus mode. I haven’t started playing with the TonePrint or TriChorus much yet.